What the product is used for. How to use it correctly. Any warnings and dangerous goods information. First aid advice and emergency contact details. If the label is missing or cannot be read, do not use the product. Always dilute products according to usage instructions and only use dispenser bottles correctly labeled for the product being used. Always ensure a Material Safety Data Sheet (MSDS) is available for further technical details and first aid information. The MSDS must be less than 5 years old. Chemicals must not be decanted for re-sale. Never mix chemicals. All products are designed to work as effectively and safely as possible. Chemical mixtures may cause dangerous reactions and will not have a MSDS in the event of an accident. Wear appropriate personal protective equipment at all times. Wear safety glasses/face shields when preparing cleaning solutions. Wear aprons or adequate clothing to protect you from spills or over spray. Please take particular care when using, handling and storing hazardous substances and follow the appropriate government regulations. Refer to the Dangerous Goods Register for further details. Only use hazardous products in well ventilated areas with plenty of fresh air. 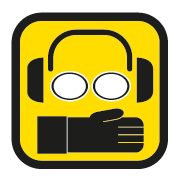 If working in confined spaces, check MSDS to see if a mask or breathing apparatus is required. Always check application details and test the product in an inconspicuous area and on an appropriate surface prior to use. For example, test carpet spotters behind a door or furniture to test for colourfastness. Always follow the manufacturer’s specifications for fabric/hard surfaces prior to cleaning, and ensure equipment is tested prior to use. Particular care should be taken on natural and painted surfaces and surfaces that are old or cracked. Prevent falls that may be caused by wet floors. Determine a safety area around wet work areas and ensure adequate matting and safety signage is used, particularly in public facilities such as shopping centers, gymnasiums, hospitals, aged care facilities and bathrooms. Whilst the cleaning solution may not create a slippery surface, the dislodged body oils, grease and grime may. Ensure the floor is fully dry before allowing public access. Always dispose of cleaning solutions and waste appropriately. 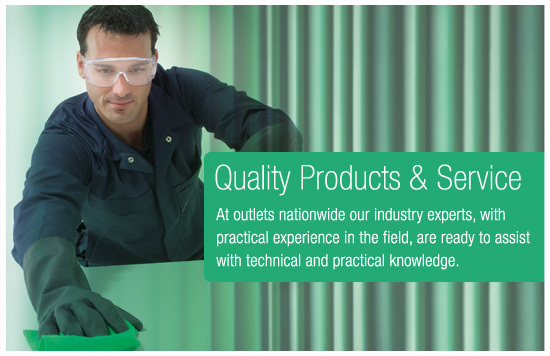 For more information, please refer to the product label, Product Data Sheet and Material Safety Data Sheet downloadable at www.oateslaboratories.com.au or contact the Oates Customer Service Team on 1300 669 686. AQIS (Australian Quarantine and Inspection Service) is part of the Australian Government Department of Agriculture, Fisheries and Forestry (DAFF). AQIS manages quarantine controls at our borders to minimise the risk of exotic pests and diseases entering the country. AQIS also provides import and export inspection and certification to help retain Australia's highly favourable animal, plant and human health status. AQIS works closely with other Australian Government agencies such as, Food Standards Australia and New Zealand (FSANZ) and state/territory governments to support their management, verification and certification activities for agriculture food and food related products. HACCP Australia provides a recognised assurance to the industry of a product’s suitability for use within a food related environment. Site Designed by Omega Advertising.